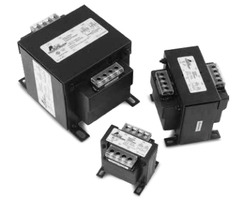 LiveWire Supply knows how essential transformers are in power distribution. We only stock and sell products which perform under tough conditions. Shop for all types of Dry Type / Air-Cooled and Oil-Filled (Liquid-Filled) transformers for a wide variety of needs. Products available at LiveWire Supply include distribution, power, buck-boost, isolation, auto-transformers, industrial control, substation, bar current, solar, medium-voltage, custom-built, and many other types of transformers. We collaborate with the top manufacturers to bring you the best products available. For instance, we are one of the largest authorized distributors for industry leading companies such as ACME and Hammond Power Solutions. 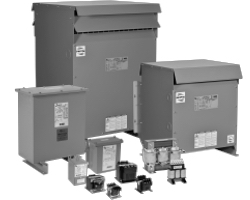 In addition, you can also find transformers from Cutler-Hammer, Dongan Electric, GE, Jefferson, Siemens and Square D. With such reputed product lines, rest assured that we have the highest quality electrical transformers. Further, we provide customers with the reliable option of reconditioned transformers, straight from our nationwide regional distribution centers. To ensure the best possible quality and reliability, each reconditioned transformer is put through a stringent inspection process. LiveWire Supply is a premier supplier of temporary power, i.e. skids, generators, etc. We have a dedicated team of professionals that strive to satisfy every customer – get in touch today with your specific requirements and we can let you know which products will be cost-effective and most suited. You can use the filter tool to find the exact transformer for your next job or just call us at 1-800-390-3299 or email us at sales@livewiresupply.com.